Defense was always the biggest weakness of the Reds, and as we've seen in numerous matches over the years, they lost plenty of points in some of the most crucial moments due to needless errors made by their backline. However, the signing of Virgil van Dijk from Southampton in the last January transfer window proved to be a masterstroke by the club, and the Dutchman transformed Liverpool's shaky defense into the league best in less than a year. The Merseysiders now boast the best defensive record in the English top division and conceded only six goals in 16 games this season. 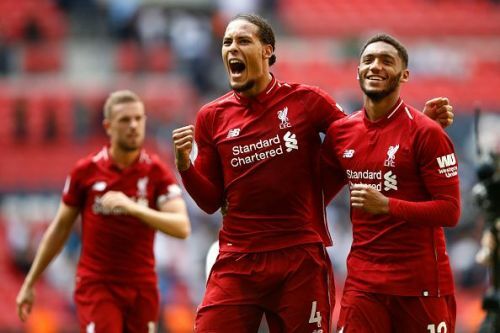 Players like Joe Gomez, Trent Alexender Arnold, and Andy Robertson also benefited from the leadership qualities of Van Dijk and performed brilliantly since his arrival. Moreover, the Reds also spent £62 million to sign Alisson Becker as a replacement to their goalkeepers last summer and the Brazillian is doing a great job so far.